Maybe Gridlock Starts with Us! Are you old enough to remember the TV sitcom, “All in the Family,” 1971-1979? No one could debate & misconstrue issues in the news better than the character, Archie Bunker, played by Carroll O’Connor. He opposed his liberal son-in-law, Michael, not so affectionately referred to by Archie as “Meathead,” played by Rob Reiner. 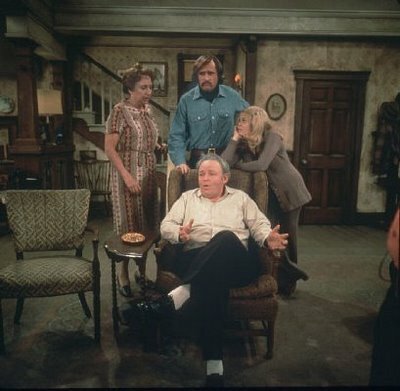 Excuse us for living, but some of us are old enough to remember the TV sitcom, “All in the Family,” 1971-1979, before it was in reruns! No better example of family squabbles over politics can be cited. We still have vivid memories of “Archie” and son-in-law “Meathead,” Michael, debating, arguing about the political issues of that era. And while the show was a satirical vehicle to register serious liberal political viewpoints, Archie’s crude portrayal of conservative opinions had its secret admirers. In today’s political climate such a show would be impossible. But the point is that Archie and Meathead were at least talking, arguing, & genuinely engaging each other in political discourse. The more common experience among family and friends at social gatherings, going back decades and decades, has been to follow the cardinal rule of refraining from discussing politics and religion. Plus, every family had its “old Uncle Harry” or someone with whom you avoided such topics in his presence like the plague for fear of “getting him going.” It was really a self-imposed “gridlock” of sorts among family and friends, the kind that we associate more with and blame the Congress for today. And on that score, the January 1, 2013 vote on the so called “fiscal cliff” tax bill by the House of Representatives, pushing mid-night, was a far cry from bipartisanship and the end of Congressional gridlock. After the Senate vote the night before, on New Year’s Eve, 89 to 8 approving the measure, the House vote was much less impressive. The bill passed with 257 Yeas and 167 Nays. Speaker John Boehner (R) could only muster 85 Republicans to add to 172 Democrats supporting the bill. – – Bipartisanship? 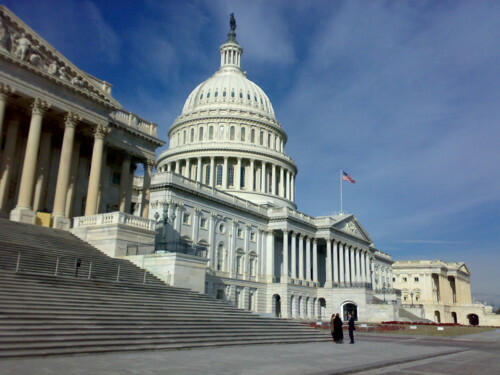 – – End of gridlock? I don’t think so. But it is a start. Hold your breath in the weeks to come with the debt ceiling bill and the “sequester bill” on entitlement and defense cuts. At this point, none of these political shenanigans surprise us. We’ve been through this drill before. But what was on my mind, even before this most recent political melodrama, was the way we behave, the way we conduct our discourse, or the lack thereof, as American citizens. And just maybe the political gridlock in the Congress and in our State Houses across the country starts with us, reflects us! As Election Day 2012 got closer and closer, our inability to conduct a discourse with those we disagree politically was never more pronounced. And in the aftermath of the Election, the animus almost seemed to intensify. Storm Sandy and its aftermath, occurring simultaneous to the Election, did not seem to soften any hearts, but added “coal to the fire,” no pun intended, with intense opinions about global warming. Only the heart-wrenching loss of innocent children at Sandy Hook Elementary School in Connecticut seemed to give some people pause…only to slip into animosities over gun control and the Second Amendment and the NRA. What’s missing is a genuine discussion among people who “agree to disagree” and maybe even a little reading/research beyond what we see on television. – – Whether socially or on the telephone, texting, e-mailing, or through the social media like Facebook. The exchange of “canned” Forwards through e-mails or links on Facebook to other sites is not discourse. It’s more like a war! “I’ll throw this at you and you throw that back at me!” Unfortunately, the closest people get to real discourse is among friends and relatives who agree and reinforce what people already think and believe! Excuse us for living, but maybe Congress, as the representative body that it is supposed to be, reflects the society at large, us! Maybe Congress cannot agree, talk to one-another, compromise, and vote in an expeditious way because we are incapable of doing so ourselves as the, supposed, informed citizens of America. Maybe gridlock starts with us! And Happy New Year 2013! This is excellent! I’m sharing it on Facebook, Phil. Great perspective and good for us all to think about. I used to send political cartoons to friends(e-mail) when one day I got the NASTIEST response from a very old friend! Well, I just wished he would have asked me to stop sending him the cartoons, instead of being mean-spirited about it. When our family would gather at the Thanksgiving or Christmas dinner table(I am talking in the 50’s-60′ and I was just a kid), that is when the political discussions would start. How I HATED that! It would end up sometimes with very loud talking. I HATED that…not good for digestion and it made me quite upset. Consequently, after that experience, I just won’t have that at my table-if one wants to talk politics-do so outside….I really think at my age, you will not be changing party affiliations. As far as sending/forwarding/sharing on Face Book-yeah, I do so…but that is just me…. I am a very strong conservative as I am sure you have gathered-lol-but that is my beliefs and so be it. I actually hate talking politics to a person face to face as I feel I am not as well versed as the person I am talking to. So I usually shut up. I do not have statistics at the ready-so I clam up. I am just being honest in my comments Phil-and as always-I do so in kindness & not being mean spirited about those comments. and as far as Mash is concerned-Jim sits down every evening and will watch a few Mash reruns-we do love the show…. Margaret! Sounds good…tread lightly…I’ll try to do the same! You may have noticed on “Excuse Us…” that while my liberal Democratic viewpoint comes through, except for my post about the middle class in danger, throughout the Election season I tried to avoid the hotbed topics. Number one, there was no need for another voice repeating the Dem Party line, but more important, to do so destroys/loses 50% of your readership…..we are so divided. Good for Jim re watching Mash. It’s on TVland here maybe 6-7pm nightly with two episodes….not a good time slot for a news watcher like me. But I miss when Mash was on all evening on TVland like they show Everybody Loves Raymond a nauseum. Love Mash…makes me relax & fall asleep!! !